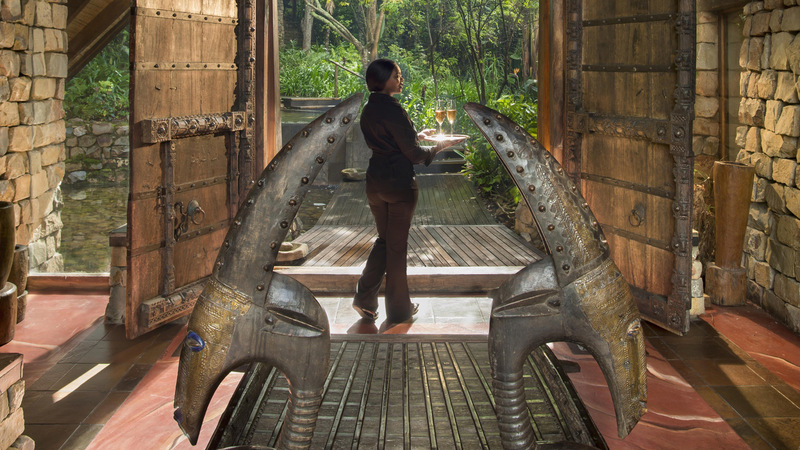 Carefully designed by Architect Bruce Stafford- Tsala is literally set on stone pillars in the canopy of trees overlooking the totally untouched valley. 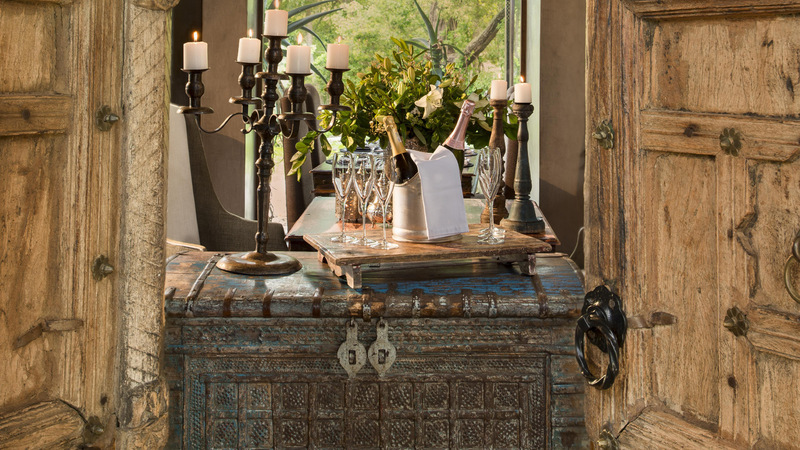 Inspired by a stone wall ruin a legend was created that informed much of the design of the lodge and the interiors. It is a contemporary glass and wooden building- with its foundations firmly rooted in the stone foundation seen in the rock walls that form the base of the lodge. The hero is the forest and the glass windows celebrate this. 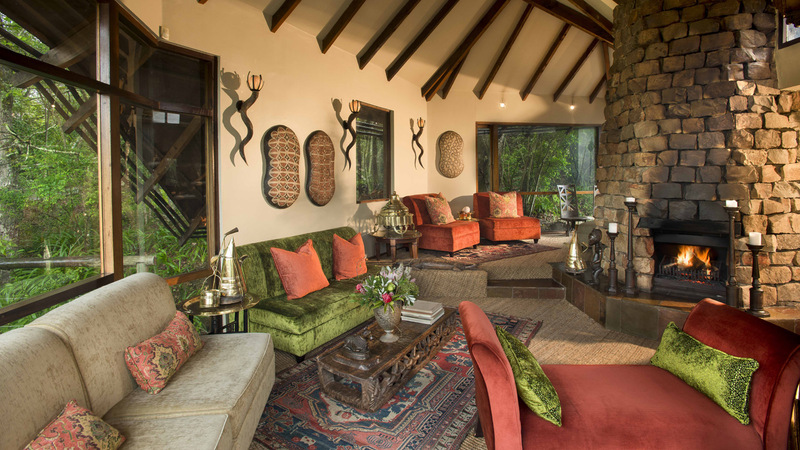 The interiors on the original Lodge have elements that are part of the history of the lodge, wooden carved headboards using antique doors and customised side and dining tables. 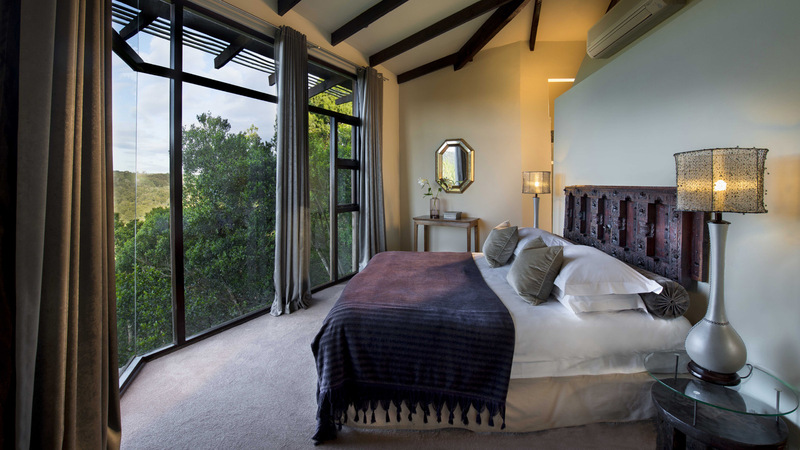 The Villas are more recently built family units designed by Paul Oosthuizen that have a more contemporary feel- simple customised furniture with accents that give a sense of place, a sense of Africa and celebrate its place in the splendid canopy of trees. Zinzi is the restaurant that sits separately from the lodge- looking over a peaceful dam. The language is similar, but with more of a Tribal feel… customised elements that combine the original legend of Tsala with the new contemporary Tribal feel that is quintessentially Zinzi.